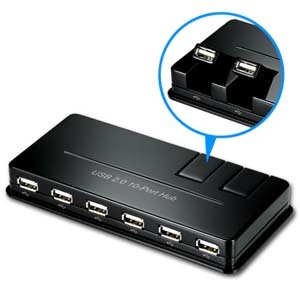 For a real winner in computer accessory connection, this USB2.0 10 Port Hub is a power house. Designed with a 2.0 high-speed interface, the 10-port unit supports various speeds of 1.5 up to 480 Mbps. 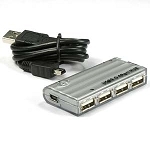 Down-compatible with 1.1 hardware, this USB 2.0 data center is versatile and can work with a number of devices. 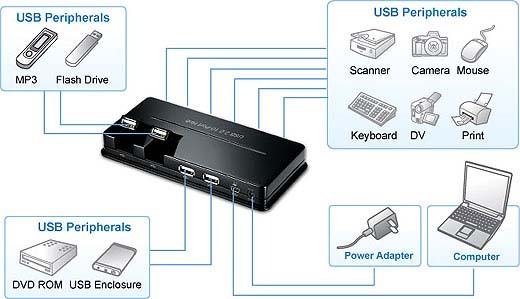 Featuring plug-and-play functions, just connect multimedia devices, computer accessories, and /or external storage drives and they’re ready to use. 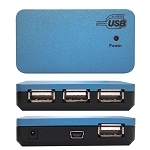 This USB 2.0 10 port unit has over-current protection from overload surges of power; additionally, automatic connection and speed detection is featured. To sweeten the deal, you have complete portability—this data connectivity hub can be used as a bus-powered or self-powered unit.